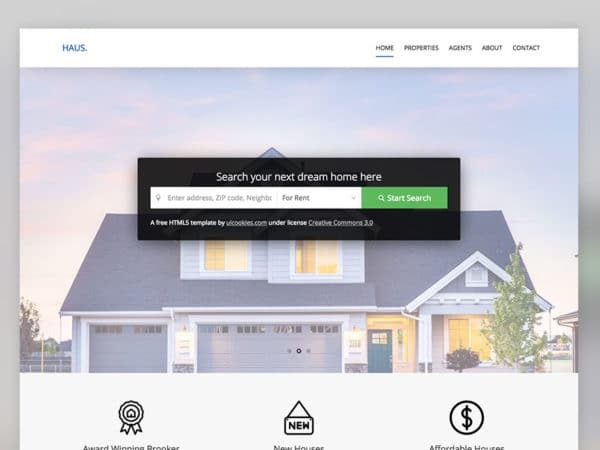 Make a friendly realestate website for both clients and real estate agents with our real estate website template. Smartly designed mobile responsive website templates will let the users see your properties on the go. Your real estate agents can access the listed properties on iPads and show the nearby properties effectively to the users, which saves the time of your clients and agents. Unique icons and modern design elements are used to give a quick overview of the property features from the property listing itself. To help the users easily search and find the properties they like, advanced search bars with filter options are given. Our well-thought out and well-executed website templates will reduce your work greatly. Testimonials and review elements are also given to increase the transparency and credibility of your service. Unless you have any special needs, you can use our templates as such for your real estate website.